More than 58,000 people have arrived in the state of Florida from Puerto Rico following the devastating step last September 20 of Hurricane Maria on the island, the office of the Governor of this state, Rick Scott, reported today. According to Scott’s office, since October 3, when Maria dissipated, they have arrived through the international airports of Miami and Orlando, as well as Port Everglades (almost 30 miles north of Miami), more than 58,000 Puerto Ricans. The state government has opened at these airports, as well as in the Port of Miami, assistance centers for families from that island who have been displaced by the effects of the hurricane, where more than 10,000 people have been cared for, according to a statement of Scott’s office. Among those arriving in Florida in recent weeks, those assisted by charitable and humanitarian organizations such as the Red Cross, include about 7,500 who arrived on three boats operated by private companies, including the cruise company Royal Caribbean. After the passage of Hurricane Maria by Puerto Rico, which until December will not see almost completely restored electricity, has led to an exodus of residents of this island to Florida, where in recent years began to see an increasing flow of Puerto Rican immigrants. Orlando, in central Florida and home to the largest Puerto Rican community in the state, is the destination appealed to by many of those displaced by the hurricane, who seek the help of relatives and relatives, and where the largest number of new school students from outside Florida. Florida schools have received more than 2,000 foreign students, many of them from Puerto Rico and the Virgin Islands, also affected by Maria, according to state government data. Likewise, state universities have received a large number of Puerto Rican students, who in about 40 centers have been allowed to pay fees as local students and have been exempted from many requirements for students from outside Florida. 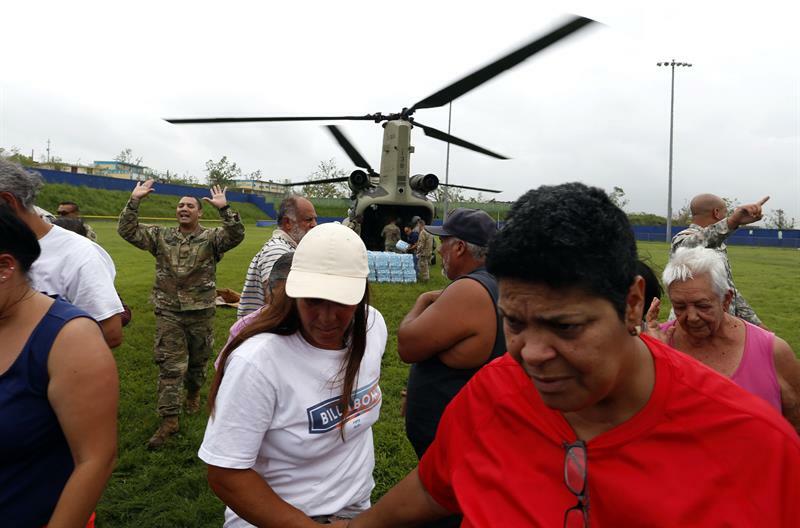 The need for financial aid to rebuild the island after Hurricane Maria has led to a meeting Thursday between US President Donald Trump and Puerto Rico’s governor Ricardo Rossello. “We continue to do everything we can to help the people of Puerto Rico, which is one of the reasons why the governor (Rossello) will be here tomorrow,” White House spokeswoman Sarah Sanders said in her daily appearance the media. Last week the US Congress approved $ 6 billion in aid to ensure that the local government can continue to operate and meet the payment of its obligations, and in addition it approved another item of $ 1.27 billion for food aid for Puerto Rico , which has suffered three hurricanes in less than two months.